As the end of July is in sight, the morning readings continue with full force, sort of. Granted that some days I am sleepy, some mentally distracted, some restless, but every now and then fully able to concentrate and read. The stack of “must read and review” books never quite gets whittled down enough, but I am trying. For about two weeks now, I have been reading from Mark Jones’ Knowing Christ, published by Banner of Truth. I could easily read two or three of the short chapters a day, but I refuse. One is enough. This book, whose title echoes J. I. Packer’s classic Knowing God, is a rich, thought producing and soul enriching read. 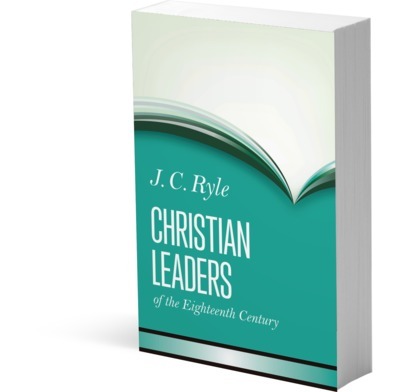 There is usually a good half to full cup of theological thought, with a few scoops of quotes from Reformers, Puritans, and great theological thinkers, with all of it grounded in the Bible verse or verses that begin the chapters. Get this book. Upon the recommendation of Cody Howard, pastor of Church Under the Bridge here in Texarkana, I bought The Difficult Doctrine of the Love of God by D. A. Carson. This is a short book (less than a hundred pages) that grew out of four lectures. The two parts of the title might not seem to go together. We all know that there are some pretty difficult doctrines in the Bible, but we usually don’t think of the love of God in that category. Far from obfuscating a simple truth, Carson unfolds some of the depth of what the Bible teaches in contrast to some of the weaker, trite, sentimental, or false versions of God’s love that comes from non-Christian thinking and then seeps into the saved community. The Difficult Doctrine of the Love of God is published by Crossway. Last year, I read and loved Bradley Birzer’s book Russell Kirk: American Conservative. Now the same publisher, the University of Kentucky Press, has issued Imaginative Conservative: The Letters of Russell Kirk, edited by James E. Person, Jr. Kirk was a brilliant thinker, a leader in the conservative movement of the 1960’s–1990’s, and a prolific writer of political and literary books and ghost stories. Living in the age when people wrote letters, he corresponded with some really great and famous people. But even his letters to lesser known or unknown people are quite enjoyable. The Regensburg Lecture by James V. Schall is published by St. Augustine Press. This book is a commentary on a speech that Pope Benedict XVI gave at a university in his native Bavaria. Remember that Benedict was Joseph Ratzinger, who was a top rate scholar on church history and theology. His speech dealt with issues related to Europe and the West’s confrontation and interaction with Islam. The topic should be a bit old hat, since it pertains to so much European and Middle Eastern history. But Benedict sparked an outrage from the followers of “the religion of peace.” Too many in the West were too squeamish to react properly. Thankfully, James V. Schall, one of the best writers I know, didn’t sit on the sidelines. 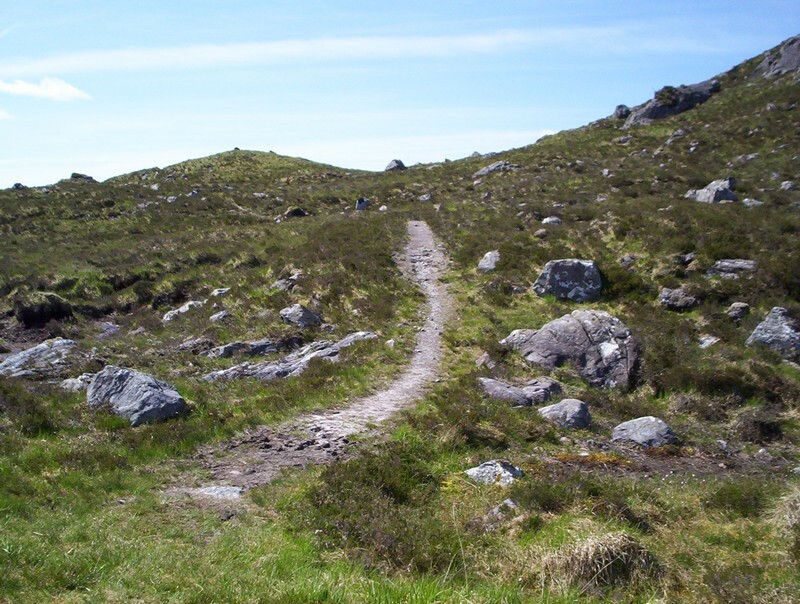 Concerning God of Our Fathers: Classical Theism and the Contemporary Church, edited by Bradford Littlejohn, I will say this: It is hard to roll uphill. Meaning, if you fall going up a hill, it is hard to reach the top. Meaning, I finished reading this book earlier in the week, but have felt it necessary to go back to the beginning to better understand the individual essays in this work and the book as a whole. Meaning, this theological book entails heavy lifting and even strong coffee doesn’t crack the code. Today, after finishing the introduction, I began “Melanchthon’s Unintended Reformation? The Case of the Missing Doctrine of God” by E. J. Hutchinson. This chapter would make a small book by itself. It is based on the thought that Reformers did not redefine or recast the doctrine of God in the way they did other doctrines. Some later and less reliable theologians did attempt to do so. Melanchthon’s Loci communes (Commonplaces) did not tackle this issue, and this essay explores why he omitted this in his discussions. I am going to try to stay on my feet on this journey this time. Hamilton: An American Biography by Tony Williams is published by Rowman and Littlefield. Often the renewed and on-going interest in our Founding Fathers is credited to the books by David McCullough and Joseph Ellis. Certainly, McCullough’s John Adams took an overlooked Founder and President and gave him much credit that was long due him. Likewise, Ellis’ books, such as Founding Brothers, His Excellency George Washington, American Quartet, and others have created a cottage industry for Ellis and have enlightened many Americans about their heritage. 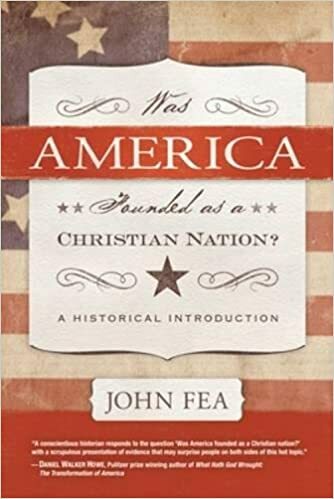 These works, and I would add others such as the books by Thomas Fleming and David Hackett Fischer, have filled in huge gaps of knowledge and have created waves of appreciation (and maybe patriotism as well) for readers. The Founding Fathers (I use that term for convenience and not for offense) often give us great solace as we contemplate current leadership. Thus, John Adams stood as a foil to the slimy actions of Pres. Bill Clinton. Others would have found the Adams father and son presidencies vastly preferable to the Bush father and son presidencies. For people on different sides of political perspectives, Presidents Obama and Trump could or can only be endured by remembering their superior predecessors. Even a beloved President like Ronald Reagan seemed far inferior in intellect and vision than the first three or four occupants of the office. As a teacher, I have always enjoyed making the contrast between Washington’s two premier cabinet members–Thomas Jefferson and Alexander Hamilton. On the one hand, I continue to be amazed at Washington’s brilliant original cabinet. Jefferson and Hamilton were perhaps the most brilliant two cabinet members to ever occupy positions at the same time. It is refreshing to think that Washington was able to hear or read both of these men expressing views on the issues of the day. Always the excellent, but often quiet, leader above the fray, he would weigh the arguments before making a decision. This method of ruling not only sounds great, but it is. Unfortunately, much of history is beautiful at a distance, but up close reveals some rather ugly brush marks. That is never more the case than in the Washington cabinet. Jefferson and Hamilton were not airy political philosophers, smoking pipes, and expressing different options. They were real men, with real and often vicious passions, who played political hardball. Chuck Colson, later a great Christian leader, was reputed to have said that he would have run over his grandmother for Richard Nixon. Politics in the early years of our republic was not that tame and civil. Meaning in short, don’t mess with Thomas Jefferson. He and others in his camp could have bested many today who today get noticed for dirty politics, fake news, collusion, etc. All of this leads us back to this new biography of Alexander Hamilton. Thankfully, Ron Cherow’s massive biography (which I am embarrassed to admit that I have not read) and Hamilton–the Musical (which I have not and likely will not see) have drawn attention to the man who otherwise is restricted to our ten dollar bills and connections to the fateful duel. At the same time that he is getting some favorable press and attention from the public, I have repeatedly bumped into conservative people who blame Hamilton for ever evil in our country from the founding years to the present. Big government–blame Hamilton. Failed liberal (Wilsonian, New Deal, Great Society, Obama-era) policies–blame Hamilton. Debts, paper money, the Federal Reserve–blame Hamilton. Trampling on the Constitution–blame Hamilton. Funny though that many who blame him don’t take the next logical step. That is, why not blame the greatest and most influential Hamiltonian of all time? Meaning, George Washington. It is hard to fathom a person who was able to climb out of difficult circumstances to reach such heights as Hamilton did. Illegitimate (which his detractors continually reminded everyone of), orphaned early in life, he was a self-educated, highly successful warehouse operator while still in his teens. Bless the ones who saw his talent and sent him to the colonies. Incredibly brave on the battlefield, he was also a great administrator and organizer on the staff while in the Revolutionary War. Not as diversely gifted as Jefferson, he was, nevertheless, a first class intellect. His brain power and unrelenting drive enabled him to whip out defenses, commentaries, and explanations of political issues in short order. He handily contributed the larger portion of the essays that comprise The Federalist Papers, which is still regarded as a major contribution to Constitutional interpretation and to politicla philosophy. When needed, he wrote in-depth accounts on financing the government and securing America’s place among the nations. Later, he largely crafted George Washington’s “Farewell Address” without calling attention to himself. If Washington was “first in war” as Lighthorse Harry Lee said of him, then Hamilton was first in finance. 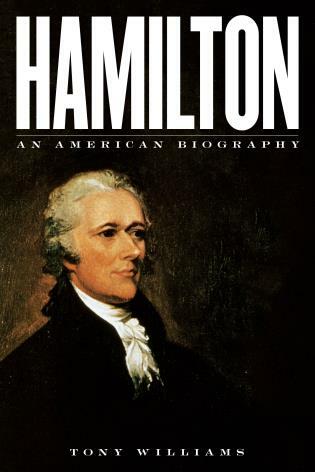 Unlike secretaries of the treasury who today are largely picked from successful business corporations, Hamilton learned economics and politics on the run. He had to fight against a coalition that included such heavyweights as Jefferson and Hamilton’s former ally James Madison. For a long time thereafter, critics looked into Hamilton’s governmental record in search of a skeleton in the closet. President Jefferson even directed Treasury Secretary Gallatin to examine Hamilton’s records, but Gallatin found a spotless slate. Much more could be said about Hamilton here, but Williams’ book Hamilton says it all and says it in 166 pages of text. The only flaw in this book is the endling because Hamilton died too soon and too uselessly in a duel. On his deathbed he reaffirmed his faith in Christ and denounced dueling. If only he had avoided that honor-warped practice before facing off with Aaron Burr. Great book. Great man. Good to read and remember and rekindle our hopes for men like Alexander Hamilton in our day. How I came to own and read this book is an interesting story–at least to me. 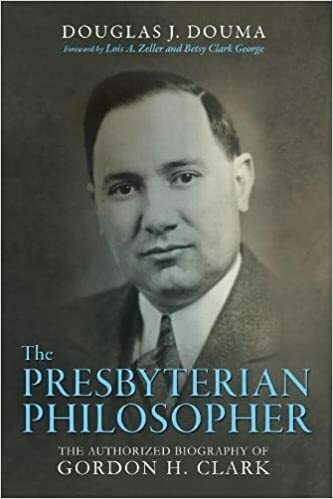 Just a few years back, I read the book The Presbyterian Philosopher: The Authorized Biography of Gordon Clark by Douglas J. Douma (pronounced ‘dow-ma’). Soon after that, Doug and I became friends on Facebook, and soon after that I discovered that his twin brother Michael had published the book How Dutch Americans Stayed Dutch: An Historical Perspective on Ethnic Identities. The book on the Dutch Americans was published by Amsterdam University Press in 2014. On a whim, I went to the web-site and requested a review copy. A few minutes later, in an irretrivable eternity in cyber space, I had second thoughts. The book was a pricey and scholarly publication. It was on a highly specialized subject with only minimal connections to my needs. But what difference would it make? University presses are not quick to send out 3 or 4 year old pricey books to bloggers. So, I forgot all about it. At a later point, I became friends with Michael, again on Facebook. I enjoyed the wit and occasional glimspes of wisdom in knowing these two scholar/mountainmen–the Douma twins. Then a package arrived in the mail. “A book!” I thought, and I wondered what it was. Forgotten by me and with no input from Michael, the Chicago Distributing Center sent me the book. I did, however, have a reason for wanting at least to scan the book. About ten years ago, I began a project called “Calvinist Worldview Thinkers in the Wilderness Age.” What had aroused my curiousity was the roles played by a number of Calvinist intellectuals from about the 1930s to the 1970s or 80s. These men had written widely on a number of theological, historical, philosophical, and social themes to what must have been a small audience. For the sake of brevity, just note that before Francis Schaeffer, there was little in the way of popular, widely-read Christian worldview thinking. 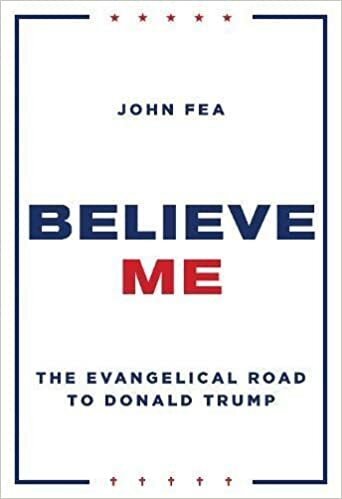 The project resulted in several articles being published in Faith for All of Life magazine and in my speaking at a few conferences in places such as eastern Virginia and Alaska. As with most studies, what started small kept on leading to more and more sources, books, people, and ideas. A common denominator in much of the study was the impact of Dutch Calvinists in both the Netherlands and in North America. The big name in terms of impact is Abraham Kuyper. But he was preceded by Groen van Prinsterer, was a peer with Herman Bavinck, and was an influence on Herman Dooyeweerd. From those four names, the blossoming of thought, ideas, conflicts, and books is a tidal wave (using a mixed metaphor). For my studies (which never have ended although the talks and articles are in the past), this was grist for my mill. Beyond the delightful humor of that statement, it reveals quite a bit about the Dutch experience in America. Religion was a long-term, although not total, binding experience for Dutch Americans. So were marriage and family. Growing up in east Texas, I never knew anyone who claimed Dutch heritage in my youth. (I do recall a person or two with the last name Vandenberg.) We did not think of ourselves as English, Scots, Scots-Irish, German, or anything else, as far as I knew. Everyone spoke English (except for a few Hispanic families), and people were usually divided into two broad categories–white and black. In my youth, I only knew of one or two people who were Catholic. Dutch Reformed folk did not exist in my mind. Over the years–okay, decades–I have become acquainted with a small number of Dutch Americans or Dutch Canadians. I have found their ethnic worlds full of fascination, but extremely foreign to my experiences. Studying history and theology has awakened me to much broader worlds than rural north-east Texas. In terms of history, however, ethnic studies have not been on my radar. One cannot avoid the topic in the broader sense, but my history thinking has been a recipe cooked in the “American Melting Pot” way of thinking. I am increasingly convinced that history as a subject is as hard or harder than calculus or physics. Most of what we teach in our high school history classes and much of what we learn at the college level is still pretty basic. Hence, I knew little or nothing about Dutch Americans. Michael Douma’s book deals with a number of topics regarding Dutch American folks. One of the ever confusing aspects of the story relates to the theological conflicts among the Dutch Calvinist people. I still cannot sort out all of the differences between various Presbyterian groups. Baptist divisions are a fog. I don’t even try to figure out the theological fissures that set Dutchman against Dutchman both in the Old and New Worlds. As usual, there were a few glimpses of brotherhood with differences relegated to the side, but other cases where the lines were drawn in the sand. An ongoing concern was the maintenance of the Dutch language. Quite obviously, it is hard to hold on to a culture if the language is lost or neglected. Churches battled or struggled with this. The inclusion of English language services was an issue to be talked and thought out–or rejected. Then since Dutch Americans are by the very name, Americans, the assimilation into the broader American culture was a concern. The first generations usually do quite well in holding on to the old ways, but add a generation or two, and the community looks different. Also, add a World War or two and military experience, plus the ever-present American tendency to move away weakened the Dutchness of Dutch American culture. In an effort to preserve their heritage, some communities, such as Holland, Michigan, began frequent celebrations and festivities recalling, exaggerating, and even creating a sense of Dutchness among the people in the area. In more recent times, much work has gone on in the field of geneaology to connect Dutch folk on both sides of the Atlantic with kin and ancestors. My two favorite chapters in this book are chapters 3 and 6. Chapter 3 is titled “A Black Dutchman and the Racial Discourse of Dutch America, 1865-1920” and chapter 6 is “Arnold Mulder’s Alienated Second Generation.” Chapter 3 concerns an African-American named Ray Nies who was taken from his slave background and who became a part of the Dutch community. This minority within a minority is an interesting glimpse into how the Dutch Americans viewed race issues. Few Dutch migrated to the south, although a fair number did serve in the Union Army during the Civil War. Arnold Mulder was a novelist and historian who wrote about Dutch communities. Some readers and reviewers of Dutch descent were insulted by his portrayals, but overall, he gets high marks for his writings. I was told that Mulder was theology and apologetics professor Cornelius Van Til’s favorite novelist. I am certainly interested in getting copies of his books, particulary The Dominie of Harlem and Bram of Five Corners. I suspect the intent of this book, which grew out of Dr. Douma’s dissertation work, is to find lodging in university libraries and be reviewed in scholarly journals. My hope would be for Michael (note the more personal naming in this sentence) to incorporate the two chapters I loved most along with some other parts of this book with other writings he has done. The end result would be to see a less academic, but more popular-aimed book about this fascinating group of people. By the way, I recently read and reviewed Adriaen van der Donck: A Dutch Rebel in Seventeenth-Century America by J. Van Den Hout. The Dutch colonizers of the New York/New Netherlands portion of the east coast is an earlier and much different study than that of Michael Douma’s book. But both are focused on Dutch folk who came to America. I think I can rest now from my Dutch American historical studies for this summer. Michael Douma most recently contributed to and helped edit the book What Is Classical Liberal History? Very soon his book Creative Historical Thinking will be out. This morning, after Bible reading plus the day’s selection from Tim and Kathie Keller’s Songs from Jesus (which covers the Book of Psalms), I turned to a stack of books, including two that I had not yet started. My goal and method is to read a chapter or at least ten pages in a book. At some point, I usually get well into the book enough to let it–the book–dictate how much I read. Second book today was Atheism on Trial: Refuting the Modern Arguments Against God by Louis Markos. This book is published by Harvest House Publishers. I thought highly of Dr. Markos back when I had only read portions of his books and heard him on a lecture CD. After seeing and hearing him live and meeting and talking with him, I have become a fan–in the sense of fanatic. Markos is brilliant and exciting, wide-ranging and applicable. After the introduction, this book begins the march across time by looking at how the ancients viewed God or gods and the origins of the world and man. I meet few atheists, but I find books like this powerfully uplifting to the heart and mind. Getting started into The Terrible Speed of Mercy: A Spiritual Biography of Flannery O’Connor was dessert–yes, dessert even before breakfast. Jonathan Rogers wrote the book, and it is published by Thomas Nelson. Dr. Ralph Wood, professor of Theology and Literature at Baylor University, commends the book, and he is an expert of Flannery O’Connor. WhIle I have quite a few books by and about Flannery O’Connor, the brevity of this book is quite appealing. Flannery O’Connor–who Dr. Ralph Wood calls “the most important Christian writer this country has produced”–what a delight! Theater of a Separate War: The Civil War West of the Mississippi River, 1861-1865 by Thomas W. Cutrer is published by the University of North Carolina Press. It was awarded the Douglas Southall Freeman Award, Military Order of the Stars and Bars. Dr. Curtrer is professor emeritus of history at Arizona State University. He has previously authored a number of books, including Ben McCullough and the Frontier Miliary Tradition, Parnasus on the Mississippi: The Southern Review and the Baton Rouge Literary Community 1935-1942 (which is a book I thoroughly loved when I read it years ago), and most recently, Doris Miller, Pearl Harbor, and the Birth of the Civil Rights Movement. First, I hope Dr. Cutrer doesn’t count off much for late assignments. I began reading this book back in January, but it got brushed aside by a torrent of school readings, other review books, and other matters. I picked it back up a few weeks ago and read to the end. Second, I found myself feeling ashamed while reading this book. After years of reading and teaching history, I have no idea how a mere mortal undertakes to write an account like this. Now, on to the vast expanse of land west of the Mississippi, commonly called the Trans-Mississippi Theater. Each time I teach on “the War,” also known as the War Between the States, the Civil War, the War of the Rebellion, the War for Southern Independence, or what southerners often just called “the Wawh,” I try to explain the three theaters–or major areas of operation–in the war. The map above is perfect, and it will show up in future classes. For many students–at all levels–the War took place in those places in Virginia and a few points north where such men as Robert E. Lee, “Stonewall” Jackson, J. E. B. Stuart, and James Longstreet duked it out with wave upon wave of Northern invaders who finally wore down the beleagured Confederacy. Besides being the subject of most of the books, studies, national park battlefields, and colorful leaders, the eastern theater was the location of both capitals. 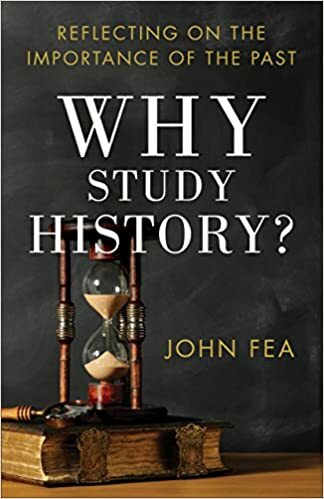 Many defining books, such as Brace Catton’s many works, Kenneth Stamp’s Lincoln Finds a General, and the historical/fictional trilogy by Michael and Jeff Shaara, are focused on events in the east. For me, personally, it was around 1991, on my honeymoon vacation no less, when I was able to visit battlefields at Shiloh, Stones’ River, Chickamagua, and other western battlegrounds that I began seeing beyond just the battle of Vicksburg (which we toured around 1994). It was Andrew Nelson Lytle’s fun biography Bedford Forrest and His Critter Company that made me a student of that phase of the war. Only when I began teaching Arkansas history and also participated in a re-enactment group for a short time did I begin giving any attention to the Trans-Mississippi. In the 1960’s, a small press in Little Rock, called Pioneer Press, published a number of books about the war in Arkansas with some dealing with adjacent areas. Those books are largely out-of-print and high priced in the used book world. (Lots of them were given to public school libraries throughout the state.) 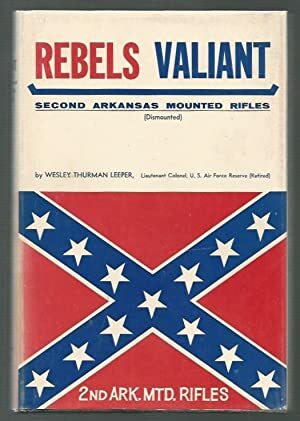 I think I paid about $60 for a copy of Rebels Valiant: Second Arkansas Mounted Rifles (Dismounted) by Wesley Thurman Leeper. I have a couple of ancestors who were in that unit, hence my willingness to pay such a hefty price back some 20 plus years ago. Over the years, I have managed to acquire (to no one’s surprise) quite a few books about the War in Arkansas, a few more about Texas, Louisiana, and Missouri, and a biography of the Cherokee Indian and Confederate General Stand Watie. I am still, however, struggling through first or second grade in terms of having a good grasp of the Trans-Mississippi part of the War. This new book, Theater of a Separate War, is and will be continue to be the defining work on this part of the war. This part of the war was a separate (in some senses) war from what was happening in the nearby western theater and from the eastern theater. In some ways, the Trans-Mississippi was a series of separate wars. There were battles for control of the western territories of New Mexico and Colorado. Control of the coast of Texas was another phase of the war. The civil wars within the Civil War as found in Missouri and which spilled over into Kansas and northern Arkansas was another series of events. Louisiana, the richest state in the Confederacy, had battles ranging from New Orleans in the south to the outskirts of Shreveport in the north, and being on the west side of Vicksburg, it played a small, but indecisive role in that pivotal battle. If all that isn’t enough, the various tribes of Native Americans, located mainly in the Indian Territory or present day Oklahoma, fought largely for the south, with some exceptions. As Dr. Cutrer points out in the conclusion, if there had been no war in the rest of the United States, the events in this wide theater would still be a fascinating and important study in military history. “What difference does it make now?” to use the question posed by some politician of the past. The war was neither won nor lost in the Trans-Mississippi. It was, to quote Albert Castel as Cutrer did, “the garbage dump of the Confederate army.” It was, often enough, a distraction and side show to the Union generals and leadership. In the fun category of “What If” history, or Alternative History, made famous by the scholarly works of such men as Robert Cowley or fictional works by such men as Harry Turtledove (Guns of the South) or McKinley Cantor (If the South Had Won the Civil War), one can speculate a Southern strategy that would have captured Missouri (particularly St. Louis) for the South and carried the war to the North with an invasion sweeping across Illinois. Another aspect of this war that contributes to its lack of notice is the casualty figures. I must admit that after years of teaching the war, I find myself more and more queasy and disturbed by the numbers of men killed and maimed in battle after battle in Tennessee, Virginia, Mississippi, and Georgia. The novel The Widow of the South by Robert Hicks reminded me of what I had read about and watched in movies too many times: Even those soldiers who survived the wounds of war endured some horrible hospital experiences. In contrast to the thousands and tens of thousands killed, maimed, or captured, many of the battles in the Trans-Mississippi resulted in anywhere from a few hundred to “only” a few thousand casualties. The numbers of what constituted battles in the Trans-Mississippi pales in comparison to the huge numbers in other parts of the war. But part of the greater purpose of this book is to get our attention off the glory/horrors images of the other campaigns and to focus on this part of the war. The first one falls under this title “blame the reader.” I often found myself lost or confused as to who was who and who was on what side in this book. It doesn’t help that there was a General Frederick Steele who fought for the Union and a General William Steele who fought for the Confederacy. I think I need some device that color codes the text so that Confederates’ names appear in gray and Union names in blue. At the same time, this reminded me of why so many of my students would give lame-brain answers on my tests. “What kind of idiot would think that Stonewall Jackson led the Army of the Potomac?” I would think. The same kind that would think that William Steele was a Union officer, I now realize. The second criticism will go the publisher. That being said, I have and love many books published by the University of North Carolina Press. But why is there only one map in this book? The one map is useful and is a two page spread showing the theater in its entirety. But I was constantly lost and confused because I didn’t know where particular rivers, towns, and battlefields were located in the western states and territories. The Arkansas portions were a little easier to navigate because of having traveled to most of them. But a book of 588 pages and a book of this incredible caliber needed another dozen or more pages showing battlefield maps. There is, somewhere, a listing of the 100 most important books on the Civil War. I am sure that it is out-of-date. I am equally sure that I have made up my own versions of such a list. But in any reckoning on this war, this book will have to be in the line-up. This work doesn’t have the fire and passion found in Bruce Catton’s books or Shelby Foote’s works. It is scholarly military history with a penchant for giving lots of details. But it is a worthy study and a powerful unveiling of a whole angle on the most neglected part of the Civil War. Thomas Cutrer seems to live a Hemingway-type of outdoor life without Hemingway’s penchant for doing overly reckless things. The author and his book.